Tucked away in one of the new developments near King’s Cross is Drake and Morgan, a spacious and lively haunt that is buzzing with activity at any given hour. Located in the prestigious Pancras Square, whose fellow residents include Google and Louis Vuitton, this stylish hotspot offers the perfect post-work retreat or Sunday morning brunch spot. Step inside, and you’ll soon fall in love with the rich, wooden tones, metallic accents and the faux fur throws draped generously across the back of many a dining chair. The generous space in this London bar offers up a variety of seating options, allowing you to choose from the enticing dining room on the ground floor, the secluded bar and lounge downstairs or the outside terrace, accompanied by the obligatory blankets and hot water bottles. Whichever option you decide upon, you’re guaranteed an extraordinary experience. Stay upstairs and enjoy a delectable draught or descend the elegant stairway to the resident bar, an impressive space decked out with industrial lighting, exposed concrete and an abundance of copper hardware. 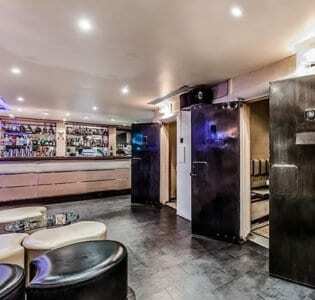 Grab a seat at the bar or relax in the clean-cut lounge area before perusing their impressive list of cocktails. 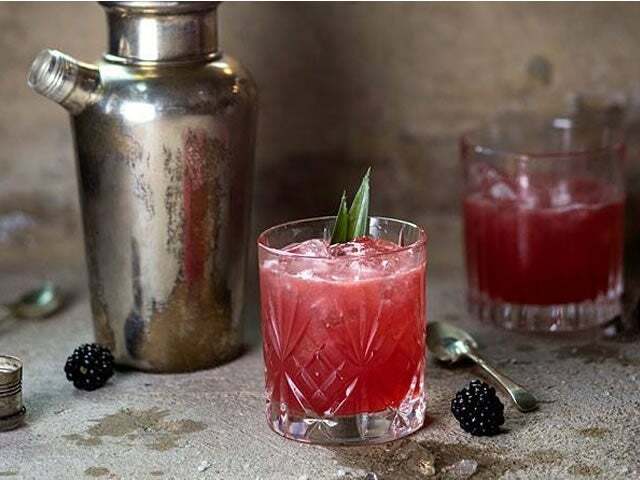 From fruity and fresh to rich and sumptuous, the mixologists at Drake and Morgan have a tasty tipple for every palate. Feeling adventurous? Sample a Jasmine Blossom, a medley of Silent Pool gin, lemon, homemade jasmine syrup, bitter orange and elderflower tonic. Looking for something a touch more exotic, perhaps? Order a Mexican Soul, an impressive concoction of Quiquiriqui mezcal, coffee-infused tequila, Cointreau, lemon, bitters, agave and strawberry. With an inspiring selection of appetising brews and a mouth-watering menu to boot, Drake and Morgan at King’s Cross is one of London’s most exciting bars.